**Smile as you bake, it creates energy to understand why we are friends! 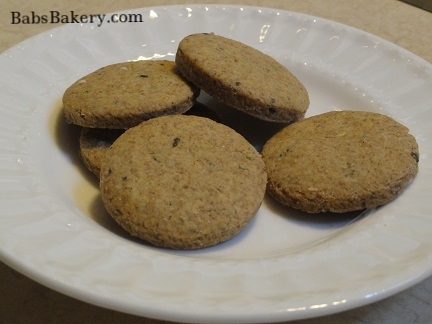 Listed are some categories of Energetic Properties from various grains/foods/spices/herbs used in BABS Bakery products. The choice is yours to better understand the energetic properties in order to use them and any other foods to suit your constitution/seasonal habits to help balance health issues. Most terminology listed is from Ayurveda and Chinese medicine. Hildegard’s medicinal elements are outlined in medieval terms for the physical body as; According to Hildegard, black bile is associated with earth as the cold-and-dry elements produce a melancholic or depressive temperament; while blood is the humor associated with air and the hot-and-moist elements that result in the happy or sanguine. Yellow bile is associated with fire and hot-and-dry elements resulting in a choleric or an unforgiving temperament; phlegm associated with water and the cold-and-moist elements result in a sluggish response or phlegmatic. The notations from her writings will include her influence. BABS Bakery has tried its best to counterbalance many of the foods we serve to suit the season and constitutions. 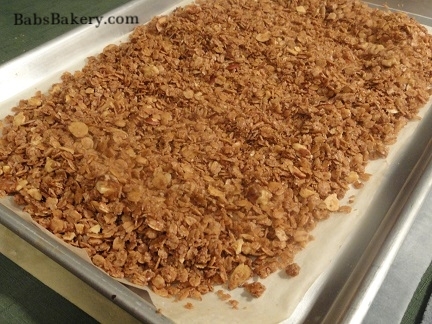 Please read BABS Bakery disclaimer/disclosure page for more information, as BABS Bakery makes no claims to your choice of foods or dietary lifestyle. The references are listed and the choice to pursue food and the lifestyle you want to live is based on your own personal needs and health. Yang: some yang transformational organs are, small intestine, large intestine. Jing: deep level, such as kidney jing to help run immune & spiritual system. Black bile: gallic acid is produced in the liver and acidifies the blood and intestines. Hildegard traces the cause of autoaggression to this substance. Similar to a cortisone it is released from stress, quickly discharged into the intestines and kills good bacteria. This invasion weakens the immune system, and can actually occur from the emotion itself- anger. Depression is a known origin at this point, or as Hildegard writes --melancholy. Example is: PK= V+ in excess. Balances pitta and kapha and if eating too much of this it can raise vatta. PVK= means this is Tridoshic or ok for all doshas/elements. Yin - nourishes and balances solid structure, helps reduce excess yang. Yang - nourishes and supplies energy to sluggish energy, helps deficient energy or too much Yin. Example is: D+ (means in excess) Yin, Blood. Eating too much may induce dampness in a earth/water state (kapha) or further a dampening condition, (such as a cold with nasal issues), but is good when balanced to nourish Blood & Yin. Yin/Yang= Means this helps balance Yin & Yang. Cold/dry elements are melancholic or depressive temperament with black-bile associated with – Earth. Cold/moist elements are a sluggish response or phlegmatic associated with – Water. Hot/moist elements are sanguine or happy associated with -Air. Hot/dry elements are choleric or an unforgiving temperament with yellow-bile associated with – Fire. Slippery Elm Bark- Temperature- Cool; Flavor- sweet; Tonifies Yin; Regulates heat. Route- lung, stomach, large intestine, bladder. Slippery Elm: The finely powdered bark prepared as an ordinary gruel has shown definite results in all diseases involving a multitude of illnesses. It has remarkable healing and cleansing qualities internally or externally, with which it comes in contact with. The gruel, eaten in small amounts often, has the nourishing value equivalent to oatmeal. Cardamom (Ela)- sweet/hot/pungent VK- (P+ in excess- large Ela.) In the USA only the small is available, choti ela. Main digestive herb in India, helps with absorption of nutrients, digestive, reduces mucus formation, detoxifies caffeine in coffee, acid indigestion and helps spleen and pancreas. Sattwic (purity), while it gives clarity and joy, do not use in high pitta conditions, and do not boil seeds. Action- Carminative, diaphoretic, expectorant, digestive stimulant, stomachic. Route- Spleen, stomach, lung, large intestine; regulates- damp, resolves phlegm, Qi circulation, counteracts cold. Resolves Damp. Supports Yang. Antidote; Ice cream, milk, cold or sweet foods such as bananas, and used in coffee to take out the “digestive whip.” Good for Qi Stagnation; Drives out Cold. Salt (Namak/Lavan)-salty/hot/sweet V- PK+ Makes food digestible, aids saliva and gastric juices, relieves muscle tension. Removes Heat.Various kinds of salt are: Sea Salt, Mineral Salt. Salts from India- Black salt (Sel Noir) light pink in color, Black Salt being light grey in color, Rock Salt (Sendhav) off white in color and is not suppose to cause edema. Hildegard: Warm & somewhat moist, good in moderation. Salt: Hildegard notes that a person who has no salt in their food makes a person dry and harms them, and to a person who eats salt in moderation shall enjoy health. She explains why salt is useful to a person in many ways. 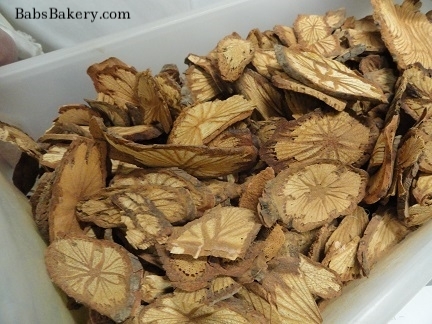 Cinnamon (Thwak/Tvak)- astringent/hot/pungentVK- P+ Good for plasma, muscles, marrow, nerves. Aids in digestion for angi (digestive fire), heart strengthening, gas, and is sattwic. Drives out invasion of Wind Cold/Cold. Hildegard: Intensely warm with great power. Action- Alterative, analgesic, antibacterial, antifungal, antiseptic, antirheumatic, antispasmodic, aromatic, astringent, carminative, demulcent, diaphoretic, digestive, diuretic, expectorant, germicide, hemostatic, stimulant and stomachic. Cinnamon Bark---Route- Kidney, lung, spleen, heart, uterus; tonifies; Yang, Qi; regulates- cold, damp, Qi circulation, blood circulation. Cinnamon Twig--- Route- Bladder, heart, lung; regulates- Wind Cold, Wind Damp Cold; Drives out invasion of Wind Cold/Cold. Cinnamon: Cinnamon has great power, according to Hildegard, in that it diminishes bad humors in whoever eats it often. Eating it often will bring good humors to the person. Nutmeg (Malathi-phalam; Jati-phalam)- astringent/hot/pungentVKP= best sedative of all spices; tamasic. For abdominal pain, poor absorption especially in the small intestine. Drives out Cold. Hildegard: Great warmth & good temperament in its strength. Route- Large intestine, spleen, stomach; tonifies- Yang; regulates- Blood circulation, Qi circulation, counteracts cold. Nutmeg: Hildegard says that nutmeg has good temperament in its strength. It opens the heart of the person eating it and purifies the senses, as this helps create good disposition in a person. She recommends mixing cinnamon, nutmeg and cloves in certain ratios and make a small cake-like food, then to eat them often in order to calm the bitterness of the heart. In calming the bitterness of the heart the senses clear, the mind opens up to the calling of peace, because this contributes to good blood and makes one strong. Cloves (Lavangaha)- Pungent/hot/pungentK- P+ V+ in excess, rajasic. Good for gas, nausea, nerves, indigestion and opens up srotas(Channels or pores). Drives out Cold; Resolves Damp; Supports Yang. Action- Stimulant, expectorant, decongestant, anthelmintic, analgesic, aphrodisiac. Route- Kidney, spleen, stomach; tonifies- Yang; regulates- counteracts cold, Qi circulation. Good for Qi Stagnation. Cloves: Hildegard recommends eating cloves for various reasons. The strength of the cloves transfers to the intestines and heals the swelling in them. Licorice- Temperature- neutral; Flavor- sweet; Route- Stomach, intestines, lung, kidney, heart; Tonifies- Qi; Regulates- heat, resolves phlegm. Supports Qi. Hildegard: Moderately warm & soothing stomach for digestion. Licorice: Licorice soothes the stomach for digestion and is beneficial to give a clear voice, eyesight and a pleasant mind, according to Hildegard. Cumin (Jiraka, Jira)- Pungent/hot/pungent VKP= Digests bread like dill and fennel relatives, digestion, distention. Action- Stimulant, carminative, lactogogue, diuretic, used like fennel and dill. Used for over eating heavy foods. Hildegard: Moderately warm & dry. Route- Liver, stomach. Cumin: The use of cumin is described in different manners. She talks of mixing three spices and making a paste or biscuit to ease nausea that is caused from the cold humors in the intestines. However, she also includes when to avoid cumin. Black Pepper (Maricha)-Pungent/hot/pungentVK- P+ rajasic. Burns up ama very well, digests fat and obesity, raises agni, caution if prone to congestive heart failure. Drives out invasion of Wind Cold/Cold; Resolves Phlegm. Hildegard: Very warm & dry, good in moderation. Action- Stimulant, carminative, decongestant, expectorant. Route- Kidney, heart, large intestine, stomach; regulates- cold, damp, resolves phlegm, removes toxins, Qi circulation. Pepper: Pepper takes away good humors and brings bad humors when a person eats a great deal of it, according to Hildegard. Moderate use is of much more value with pepper. Pippali or long pepper, is from India. Pungent/hot/sweetVK- P+ Assists in all tissue except bone, a digestive, reproductive, respiratory, used for ama, and is sattwic(purity). Galingale- Temperature- Hot; Flavor- Pungent; Route- Spleen, stomach; Regulates- Counteracts Cold. Hildegard: Totally warm & does not have any cold within it.Research at the Hildegard clinic has proven the power of this herb in stopping a heart attack Hildegard describes without side effects, as with nitro glycerin. Hidegard writes of these great powers it holds. Galingale: The use of galingale is excellent according to Hildegard in that it is considered totally warm. Her recommended uses for it when fasting and other various ways it is of value to the one using it. Good for all tissues having many healing properties, taken with rock salt it reduces Vayu, with rock candy reduces pitta, with honey it reduces Kapha, indigestion, arthritis, belching, flatulence, colic, and good for increasing agni (digestive fire). Drives out Cold. Hildegard: Very warm & easily spread out. Action- Analgesic, antiemetic, aromatic, aphrodisiac, carminative, diaphoretic, digestive, expectorant, nervine, sialagogue, stimulant. Dry Ginger Route- Lung, stomach, spleen, intestines, heart, uterus; regulates- counteracts cold, resolves phlegm, Qi circulation, Blood circulation. Supports Yang. Ginger: Ginger has many healing qualities for the ill, yet Hildegard warns of too much consumption when in health. Fresh Ginger : Route- Lung, stomach, spleen, intestines, heart, uterus; Regulates- counteracts cold, resolves phlegm, Qi circulation, Wind Cold; Drives out invasion of Wind Cold. Asafoetida (Hing)-Pungent/hot/pungentVK- P+ in excess tamasic. Considered best Vayu spice relieving abdominal pain, distention etc., strengthens heart, exorcism. Best for bean digestion, yet good in all digestive uses. Aggravates bile, or acid conditions. Actions- Stimulant, carminative, antispasmodic, anthelmintic. Holy Basil (Tulasi/Tulsi)- pungent/hot/pungent VK- P+ in excess. Works in digestion, on plasma, nerves, reproductive, blood, marrow, respiratory, with many other multiple uses. Tulsi contains the trace mineral copper needed to absorb iron, purifies the air when grown, as if it were a natural negative ion machine. Also regarded as sacred, sattwic (purity) in use, increases prana (life breath) and cleanses the aura. Action- Antibacterial, antimalarial, antiseptic, antispasmodic, antiviral, analgesic, diaphoretic, diuretic, febrifuge, nervine, vermifuge. Peppermint (Paparaminta)- Sweet/cold/pungent VPK= Colds, flu, sore throats, opens mind, promotes emotional harmony, opens senses. Good for Qi Stagnation; Drives out invasion of Wind Heat. Drives out invasion of Wind Cold; Drives out invasion of Wind Damp; Removes Heat. Resolves Phlegm. Action- Stimulant, diaphoretic, carminative, analgesic. Route- Liver, lung; regulates- Wind Heat. Tumeric (Haridra/ Gauri)- Pungent/hot/pungent. K- VP+ in excessGood for all tissues, arthritis, blood purifier, digestion, gas, fevers, a natural antibiotic, thus improving the microflora. Action- Alterative, anthelmintic, antibacterial/antibiotic, aromatic, carminative, stimulant tonic, vulnerary. Drives out invasion of Wind Damp. Route- Spleen, stomach; regulates- Qi circulation, Wind Damp Cold, Blood circulation. Good for Blood Stagnation; Good for Qi Stagnation. Mullein- Temperature- Cool; Flavor- sweet; Route- Lung, stomach, large intestine, bladder; Tonifies- Yin; Regulates- Damp Heat, resolves phlegm. Hildegard: Warm & dry & somewhat cold. Mullein: Hildegard writes that mullein will strengthen a heart that is weak and sad. To frequently eat it with meat, fish, or small tarts and this will strengthen and make the heart happy. She states that this herb is not to be mixed with other herbs when doing this. Thyme (Ipar)- Pungent/hot/pungentVK- P+ Indigestion, sever cough, menstrual disorders, gas, bad breath. Drives out invasion of Wind Damp; Resolves Phlegm; Supports Yang. Hildegard: Warm & dry. Action- Stimulant, diaphoretic, anticough, anthelmintic, antiseptic. Route- Lung, spleen, kidney, bladder, heart, uterus; tonifies- Qi; regulates- resolves phlegm, counteracts cold, Qi circulation, Wind Cold. Wild Thyme: This herb is balanced. As one who has an ill brain, as if it was empty, make little cakes and eat them often and his brain becomes better, states Hildegard. Hyssop- Temperature- Warm; Route- Lung, stomach, large intestine, bladder. Useful for bruises, dropsy, gas, and promotes healing of wounds. Hildegard: Dry nature & exists moderately warm. Hyssop: Hildegard warns of the ways not to consume hyssop as well as the ways it is useful to consume hyssop. She says that is useful in all foods and it is more beneficial to crush it and cook it than to eat it raw. Feverfew- Temperature- Cool; Flavor- Bitter; Route- Liver; Regulates- heat, Wind Heat. Hildegard: Moderately warm & somewhat dry. Feverfew: Hildegard writes that feverfew restores health to an ill person and is also good for a healthy person to consume. It benefits digestion in whatever way it is eaten. Sage (Salbia-sefakuss)- Astringent/hot/pungentVK- P+ in excess. Clears srotas, opens head and lungs, calms heart, dries excess mucus, calms brain. Drives out invasion of Wind Heat; Drives out invasion of Wind Cold; Supports Qi. Supports Yang. Hildegard: Warm & dry of nature. Action- Stimulant, diuretic, nervine, astringent. Route- Heart, lung, kidney, liver, uterus; tonifies- Qi; regulates- Wind Heat, Wind Cold, Heat, Damp, resolves phlegm. Sage: The Middle ages gave much credit and power to the use of sage for food and as a medicine. Verses and many couplets were written about the herb and BABS Bakery’s English translation is provided. Coriander (Dhyanaka)- Good for blood, plasma, tissue, digestion, main herb for digestive and skin rash problems, indigestion, griping, neuralgia, internal heat, skin rashes. Not to be used in excess Vayu nerve tissue deficiency. Antidotes hot pungent foods. Resolves Damp. Action- Alterative, antibilious, aphrodisiac, aromatic, carminative, diaphoretic, diuretic, stimulant, stomachic, tonic. Route- Stomach; regulates- Cold, Qi circulation. Good for Qi Stagnation. Coriander leaf- drives out invasion of Wind Cold. Coriander seed- drives out Cold. Fennel (Methica, Sonph)- Sweet/cold/sweet VPK= Abdominal pain, colic, gas, indigestion, nausea, digestion for children and elderly, raises agni (digestive fire). Most Sattwic (purity) spice. Hildegard: Pleasant warmth & is of neither a dry nor cold nature. Action- Stimulant, diuretic, carminative, stomachic, antispasmodic, lactogogue. Good for Qi Stagnation. Route- Kidney, bladder, spleen, stomach, liver; tonifies- Qi, Yang; regulates- counteracts cold, resolves phlegm, Qi circulation. Fennel seed drives out Cold; Supports Yang. 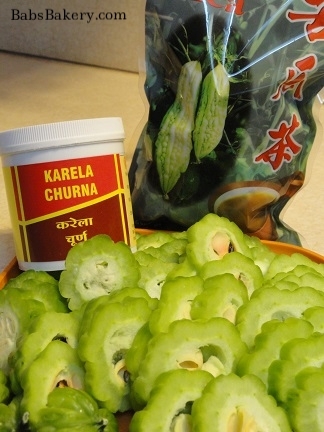 Bitter Gourd (Bitter Melon –Karela) (Chinese -Tra Kho Qua or Gohyah) Bitter/cold/pungent. PK- V+ Used to regulate sugars, cleanse liver, bile, blood, parasites & intestinal worms, fever, anemia, high in VC, and best used in summer due to cooling action- unless otherwise advised by practitioner. Action: antipyretic, alterative, antacid, anti-parasitical. Spleen, pancreas, helpful to digestion. Fruit Sugar sweet/cold/sweet VP- K+ weaken digestion and promote ama in excess. Date sugar & gape sugar are better, know the source of sugar. oney (Madhu)- best sweetener, used raw. Sweet/hot/sweetVK- P+ There are many healing properties (vehicle- anupana- to bring herbs to deepest tissue layers) as there are contraindications for honey, such as it is a subtle toxin taken in equal proportions of Ghee in which it will breed ama (toxins). Supports Yin. Action: demulcent, emollient, expectorant, laxative, nutritive, tonic, rejuvenative, external- demulcent, astringent, antibiotic. Route- large intestine, lung, spleen; Tonifies- Yin, Qi. Beet sugar - This type of sugar is derived from the refining of sugar beets. It contains 99.9% pure sucrose, while it is also a suitable substitute for cane sugar in all recipes. There are some people who are allergic to table sugar, yet may be able to use beet sugar. Make sure your sources are from NON-GMO sugar beets.Cane sugar- sweet/cold/sweet VP- K+ laxative, hard to digest without proper spices, builds body tissue. Sugar- In excess deranges all humors. A certain amount is needed of the sweet taste to maintain tissue development, because the basic of our body is sweet. Hildegard: Not raw, but to dry it in the sun to refresh a person. White- sweet/cold/sweetVPK+ increases ama. In moderation can build tissue, but better to use whole sugars listed. Sugar: Hildegard says that when sugar is raw it is not useful to a person. She explains to dry the sugar in the sun or on a fiery stone and when used it refreshes a person who eats or drinks it. Brown Sugar- white sugar with syrup added. Slightly less deleterious effect. Good for Blood Stagnation; Drives out Cold. Route- liver, spleen, stomach, lung. Rock Candy- (Mishri) made from sugar it gives energy. Good after dinner for digestion! Useful in summer drinks and is better than molasses. Used in pujas or rituals to deities and then eaten as prasad or blessed food. Jaggery- (Guda) Sweet/hot/sweetV- PK+ This is raw natural sugar from India containing vitamins & minerals. Calms and soothes. Action: rejuvenative and tonic. Molasses- V- PK+ Builds blood and muscles. Supports Qi. Route- kidney, liver, stomach, spleen, lung. Lactose- Milk sugar. Empowers herbs. Milk- (Dugdha, Kshira) sweet/cold/sweet VP- K+ Highly sattwic/sattva, or energy of purity. Nourishes plasma, skin, all tissues, especially shukra dhatu. Supports Yin.Hildegard: Cow, goat & sheep is better in the winter than summer. She describes how to use the stinging nettle in milk. Many wonderful properties of milk; especially when taken with Chayavan prash, a nutritive jam. Milk: Hildegard explains when the best time to drink milk of cows, goats, and sheep is healthy and not healthy. She also describes the use of stinging nettle in the use of milk if a healthy or sick person wishes to consume milk. Cow- easily digested, best of milks. Goat- warm energy- K- VP+ Easily digested and heals bleeding disorders, and difficulty in breathing; pulmonary. Action: tonic, rejuvenative, nutritive, aphrodisiac, calmative, laxative. Note: Dairy allergies may be due to the inorganic substances and the heavy nature of milk- kapha- Antidotes such as ginger and cinnamon help alleviate this issue. AM- aphrodisiac--- Noon- digestive stimulant --- PM- for children, calmative, laxative. Date palm or Dates (Kharjura)- sweet/cold/sweet VP- K+ in excess V+ if dry. Added to herbal formulas as tonic, as it is good for wasting diseases and injuries. Drives out Cold. Supports Blood. Supports Qi. one of the best fruit strengtheners, demulcent, laxative, refrigerant, febrifuge, expectorant..
Route- liver, lung, spleen: tonifies, Qi, Blood. Date Palm: Hildegard states that this tree signifies happiness and if you cook and eat the fruit of the date palm tree, it brings much happiness. She warns that too much will congest one and weigh them down. Butter- sweet/cold/pungent VP- K+ Strengthens and stabilizes in debility and convalescence, thought heavy and fattening and may cause constipation in excess. Good for Blood Stagnation; Drives out Cold. Hildegard: She describes how a cow’s butter is better & more healthy than the sheep or goat butter. Butter: Hildegard references the ways butter affect a healthy person with a moderate amount of flesh and the affect it has on a fatty flesh person. She mentions that the butter of cow is better than the butter of a goat or sheep. 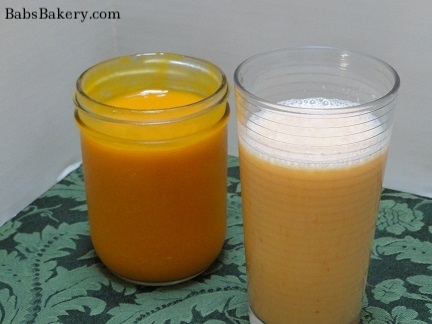 Ghee (Ghrita)- sweet/cold/sweetVP- K= mildly. Known/translated as clarified butter in the USA. Increases ojas (life sap; essence of immune system and spiritual energy), promotes longevity, and reproductive fluid, good for children and the elderly, good for Vayu and Pitts disorders, taken with herbs it transports their nutrition to all seven tissue layers, while other herbs area made into medicated ghees to enhance their healing effects. Actions- Tonic, emollient, rejuvenative, antacid, nutritive. Route- Stomach, spleen; tonifies- Yin, Jing. Eggs- sweet/hot/sweet white- VPK+: Yolk- V- PK+ less tamasic than meat and fish because they are not killed. Action: tonic, nutritive, demulcent, aphrodisiac. SupportsYin; Egg White removes Heat. Hildegard: Of any kind are colder than warm. Route- Chicken- egg white- lung; regulates heat. Whole egg- heart, kidney, lung, stomach, spleen, liver; tonifies- yin, qi, blood; regulates- blood circulation. Good forBlood Stagnation; Supports Essence/Jing; Supports Blood. Eggs: BABS Bakery finds Hildegard’s explanation of eggs to be of great value. She explains the harm they can cause when eaten, but explains the possibility how to eat the eggs of a domestic hen. Duck egg is neutral and the best egg. Chinese make salted duck eggs in the summer. Vinegar (Vikankar)- sour/hot/sour V- PK+ (K mild) Aids in secretion of hydrochloric acid. Never use in excess to taste, can be harmful to other elements in body.Hildegard: Beneficial to foods when added, but not to overpower their tastes; lest it becomes harmful with heat. Route- liver, stomach; regulates- Qi circulation, removes toxins, counter acts cold, promotes Blood circulation. Good for Blood Stagnation; Good for Qi Stagnation; Drives out Cold. Vinegar: Hildegard says that vinegar is beneficial to all foods. Add it in a way that it does not overpower the taste of the food it is added to. The full explanation of this is fascinating. Agar- Temperature- cold; flavor- sweet, salty; route- liver, lung, large intestine. Walnuts (Akshota)- Sweet/hot/sweetV- PK+ High in potassium, magnesium, vitamin A, reduces serum cholesterol. Good for marrow, reproductive tissue, and skin conditions. Resolves Phlegm. Action- Nutritive, aphrodisiac, laxative, nervine; unripe fruit and husk are antiparasitical. Route- Kidney, lung, intestines; tonifies- Yang, Qi, Jing; regulates- cold, resolves phlegm. Drives out Cold; Supports Essence/Jing; Supports Yang. Almonds (Badama) – bitter/hot/sweet VPK+ Increases marrow, godod for reproductive organs, convalescence, lowers bad cholesterol (LDL), raised good cholesterol (HDL), high in potassium, magnesium, phosphorus, protein, fiber, and the trace mineral boron that may regulate calcium metabolism. Drains Phlegm; Supports Essence/Jing; Supports Qi. Action- Nutritive, nervine, aphrodisiac, demulcent, laxative, rejuvenation. Route- Lung, large intestine, spleen; tonifies- Qi, Jing; regulates- Qi circulation, resolves phlegm. Almond: The simple almond written of by Hildegard includes that the bark, the leaves, and the sap are not good for remedies. All the energy is concentrated within the fruit. The nut eaten will give strength to him or her that eats it. Included in this book is further writing on the almond and in varied amounts to eat. Chocolate- sour/hot/sweetVPK+ can be rajasic and tamasic when used or prepared in large quantities, needs counterbalances. Action- Stimulant, calmative, aphrodisiac. When prepared with white sugar it deranges Kapha. Cocoa- On a purely scientific level, chocolate has been researched and has many benefits. Cocoa in its pure form contains relatively high amounts of antioxidants known as flavonoids, which may assist in opening up blood vessels. Some researchers have concluded that small portions of dark chocolate a day can lead to decreased blood pressure and cocoa may be beneficial for the heart. BABS uses cocoa and dark bitter chocolate in the ingredients. 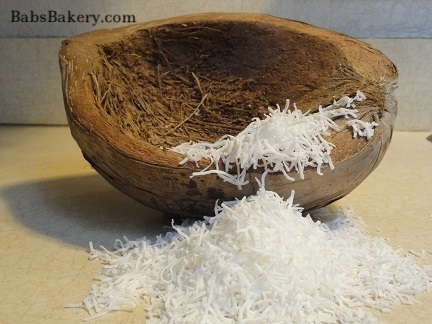 Coconut (Nariyal/Dirghavraksha)- sweet/cold/sweet VP- K+ in excess. Nourishes and softens skin, increases shurka dhatu, and one of the easiest oils to digest! Supports Qi. Route- heart, spleen, stomach, large intestine; tonifies- Qi, Blood. Coconut water relieves Vayu and Pitta dosha concerns. Sunflower- (Suryamukhi) astringent/cold/sweet VPK= Skin, lung heat, cough and high in vitamin E.
Sunflower: This plant has golden-rayed flowers resembling the sun. Perhaps, the value the seeds hold are that of the sun, as it amazingly has the ability to face the sun from morning until sunset. From the Alumni Research Foundation the sunflower is known to contain the following: Phosphorus, calcium, iron, fluorine, iodine, potassium, magnesium, sodium (natural form only 0.4mg. ), protein, thiamine, niacin, and vitamin D. The sunflower seed is respected for vital natural nourishment. 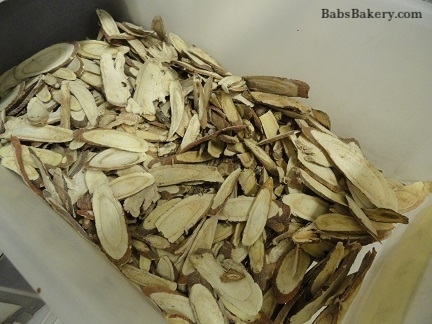 Archeological discoveries have revealed that sunflower seeds were found in clay containers over 3,000 years old. This indicates that the use and cultivation of the sunflower seed, along with the power of the sun’s energy in growing the sunflower, was regarded as an important factor by other civilizations. Psyllium- astringent/cold/pungent VPK= Action- antiinflammatory for digestive tract, laxative, may cause gas initially. **Hildegard’s antidote for melancholy (depression).Hildegard: Cold by nature & that coldness has a sweet temperament. Psyllium Seeds: Which are the seeds of plantain or ribwort, are another excellent anti-melancholica as they gladden the depressed disposition. Hildegard writes to sprinkle a teaspoon over every meal to ensure optimal digestion as they help remove black bile, poisonous substances and waste products from the intestines. They also help provide purification for the blood stream, which in turn is good for circulation. Spelt- sweet/warm/sweet VPK= Builds all tissues. Action- gives bulk to stool, easy to digest. Supports Yin. Route- spleen; tonifies Yin. Hildegard regards spelt as eradicating black bile. Hildegard: The best grain! Hot, rich & strong, while sweeter than any other grain. Spelt: Hildegard teaches that spelt is the best grain in that it is hot and rich and strong. 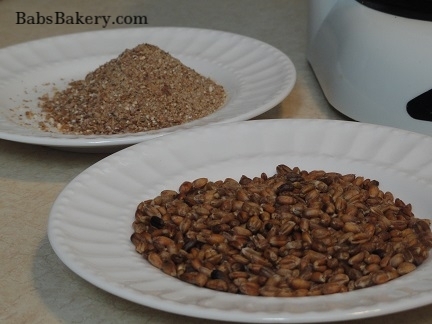 It has a sweeter taste than other grains and prepares for strong blood. She has recommends using spelt throughout many books. Oats- Sweet/cold/sweet VP- K+ Builds all tissues normalizes glucose, high amounts of iron, vitamin E, thiamine, riboflavin, niacin, and B complex, protein is easily assimilated. A little heavy and hard to digest, especially with sugar and milk, will aggravate toxic blood conditions.Hildegard: Sharp taste & strong smell. Route- Kidney, stomach, spleen, heart, lungs, large intestine; tonifies- Qi, Blood; regulates- Qi circulation. Action- demulcent, emollient, laxative (especially cut or rolled). Works on Shen level (spirit or consciousness) to help lift depression; Supports Qi. ** Hildegard warns they are not to be consumed by the sick as they require good circulation for the digestive system. The mid temperatures/powers— goes cold in digestion. Thus, if you have a naturally weak digestion, this would not be as good to eat as spelt, as spelt is warm in digestion. Adding digestive spices, such as cinnamon and cardamom warms oats up and digests better. Barley (Yava)-astringent/cold/sweet PK- V+ in excessReduces body fat and mucus, helps difficult breathing, removes toxins, helps prevent cholesterol absorption in intestines, contains calcium, iron, protein and potassium. Removes Heat; Resolves Damp; Drains Water. Hildegard: Cold, so that it is colder & weaker than other grains. Route- Spleen, stomach, gall bladder, bladder, intestines; tonifies- Blood, Qi, Yin; regulates- wind, damp, heat, toxins. Barley: She says that barley does not have the same strength of other grains thus it harms the healthy and the sick person. Yet Hildegard recommends many other healing uses for barley. Wheat (Godhuma)- astringent/cold/sweet VPK+ Best grain for Vayu dosha, nourishing and strengthening, builds muscle tissue, energy, heart, earth, calms mind, with milk and sugar for bleeding disorders (rakta Pitta). Removes Heat; Supports Yin. Contraindications- Gluten may cause allergies, aggravate arthritis, gout or any other ama conditions. Refined white flour is an artificial food and tamasic (lethargy), K+ ama + while it clogs channels and dulls mind. Hildegard: Warm & nothing lacks in it. Route- Heart, kidney, spleen; tonifies- Yin; regulates- heat. Works on Shen level (spirit or consciousness) to help relieve anxiety. These terms and symbols and explanations throughout the site are according to Chinese, Ayurveda & Hildegard systems that only relate to the elements and the energetic function in the body. © 2014 babsbakery. 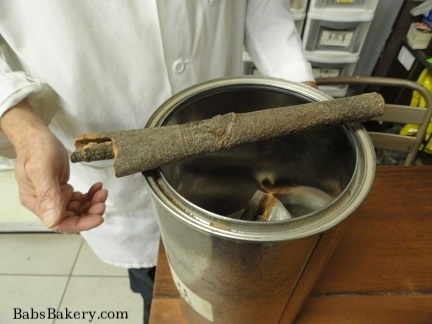 This bakery and website is for educational purposes only. The information supplied here comes from a variety of sources and authors and not every statement made has been evaluated by the FDA. This information is not intended to diagnose, treat, cure or prevent any disease. © 2014 babsbakery © All Rights Reserved. This content may not be copied in full, without contact in writing in order that the integrity of creation and information remains intact, without specific permission, when used only in a not-for-profit format, permission may be granted. If you want to use one of these articles on your site please contact BABS Bakery bubbairesbakery@aol.com If any other use is desired, permission in writing from BABS Bakery is required.